Publications - Shirley Clarke Media Ltd.
With numerous case-studies, examples and engaging anecdotes woven throughout, John and Shirley shed light on what creates an effective feedback culture and provide the teaching and learning structures which give the best possible framework for feedback. 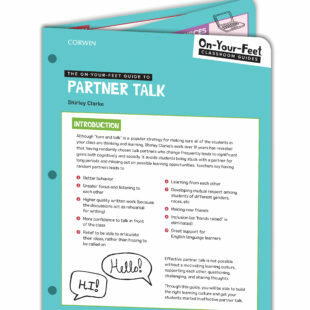 Most teachers are familiar with the "turn and talk" and "think-pair-share" strategies for partner talk. However, there is a more effective way to do partner talk that results in better behavior, greater focus, higher quality work, and greater confidence in learning. Backed by over 18 years of research, Shirley Clarke shares a tried and true method for engaging students in learning through randomly chosen talk partners. Written by Katherine Muncaster and Shirley Clarke this exciting new title contains 6 detailed lessons for every year of the primary school, for children from 4-11, and 3 linked assemblies. 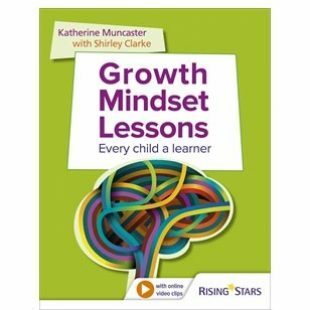 Introductions by the authors clarify the growth mindset research and describe how to transform the learning culture in your school. QR coded video clips included. 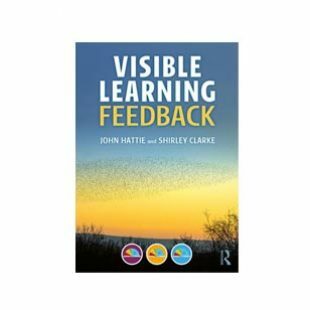 Shirley Clarke provides a wealth of high quality ideas, practical strategies, classroom examples and whole-school case studies for teachers in primary and secondary schools. 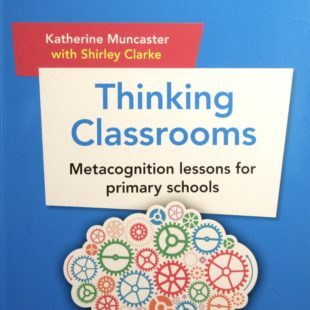 Following her hugely popular Formative Assessment in Action, this book puts formative assessment within the context of active learning-pupil engagement, effective dialogue and reflective thinking - and is packed with practical advice and examples from early years to secondary. 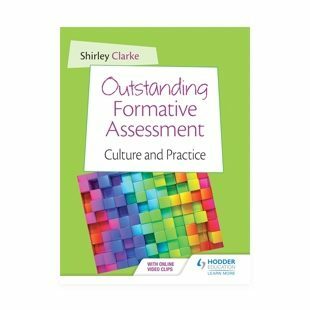 This follow-up to Shirley’s hugely popular Unlocking Formative Assessment focuses on bringing it all together in the primary classroom – how to weave all the elements of formative assessment, coherently and manageably, into everyday teaching. This highly practical guide focuses on learning objectives, effective questioning, self- and peer assessment, and feedback as the key elements of formative assessment. Down to earth and direct, with examples from across the secondary curriculum – and many accounts from practising teachers – it shows how formative assessment can bring a dramatic culture shift to teaching and learning in your own classroom. Marking and other forms of classroom feedback to pupils can actively boost self-esteem, motivate and actively promote learning – or it can demoralize and alienate. The ways in which pupils can be involved in and told what is expected of them, how well they are doing and what to do next, and how their efforts are appraised, lie at the heart of effective assessment for learning. Practical strategies for enhancing pupils’ learning in the primary classroom. Unlock the power and potential of formative assessment in your own classroom! An excellent resource and surely a ‘must read’ for all teachers and teaching assistants, especially those working in primary schools.